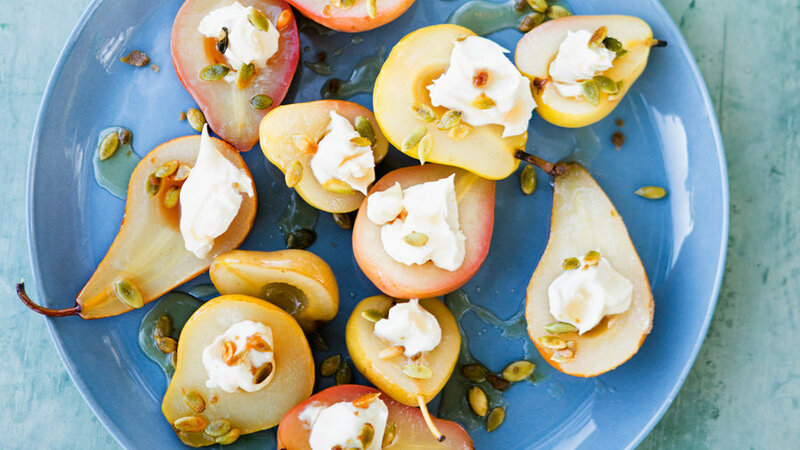 Poach pears in a syrup made with white wine, vanilla bean, and cinnamon; then serve them with dollops of creamy mascarpone cheese and a sprinkle of crunchy pumpkin seeds. 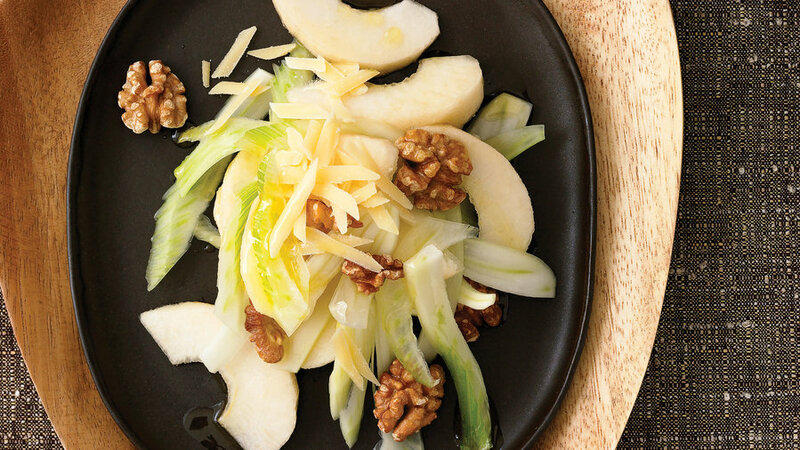 Imagine a cheese plate in salad form: sweet Red d’Anjou pears team up with sharp, nutty parmesan. 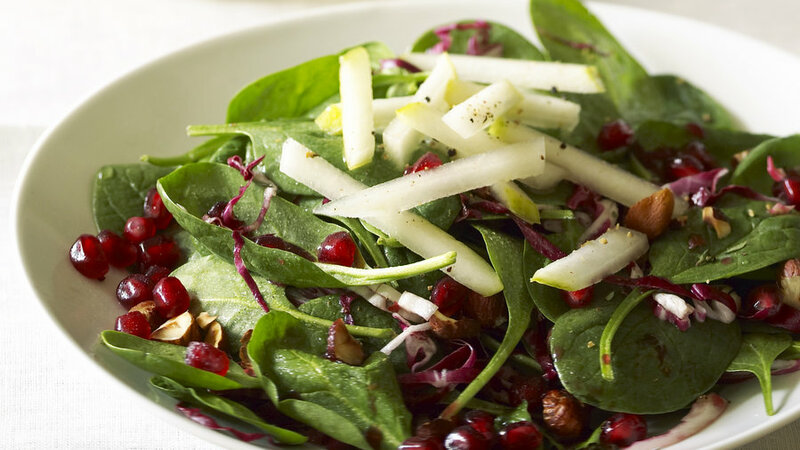 Though the red pears add a pop of color, green ones work well too. 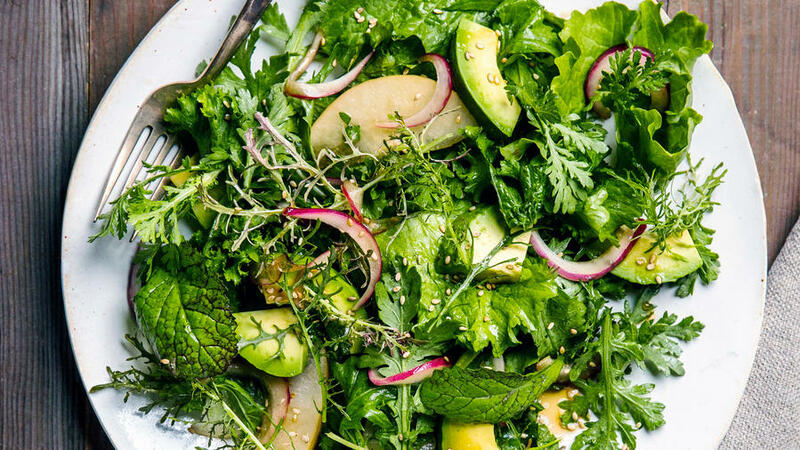 Save any extra dressing as a dip for raw vegetables or to slather on bread. 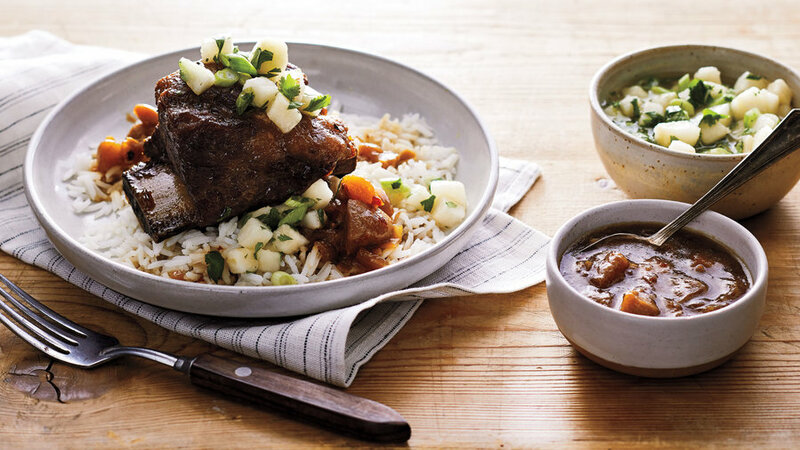 This Chinese-inspired take on short ribs gets its freshness from Bosc pears cooked in the sauce, plus more pears on top in a raw relish. If you have time, cook the recipe a day ahead. The flavors will be deeper, and you can more easily lift the fat from the sauce. 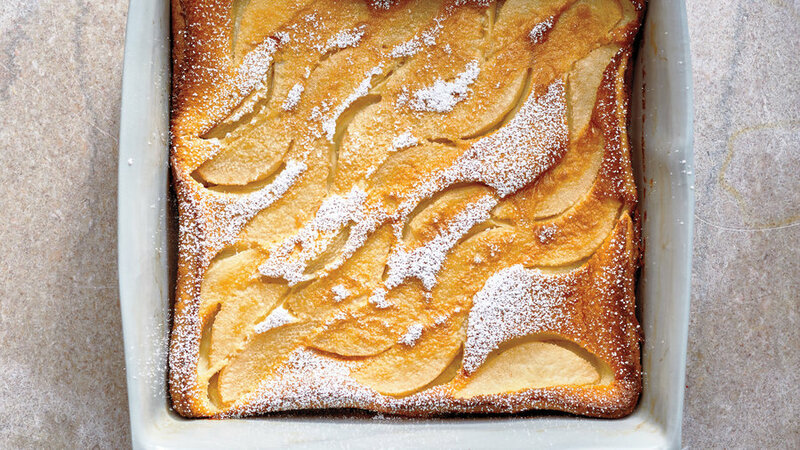 Somewhere between a custard and a pancake, you’ll find clafoutis. This version of the classic French dessert, made with slightly floral Comice pears, is best when the stem end of the pears yields slightly to the touch, signaling that the fruit is flavorful but neither hard nor squishy. 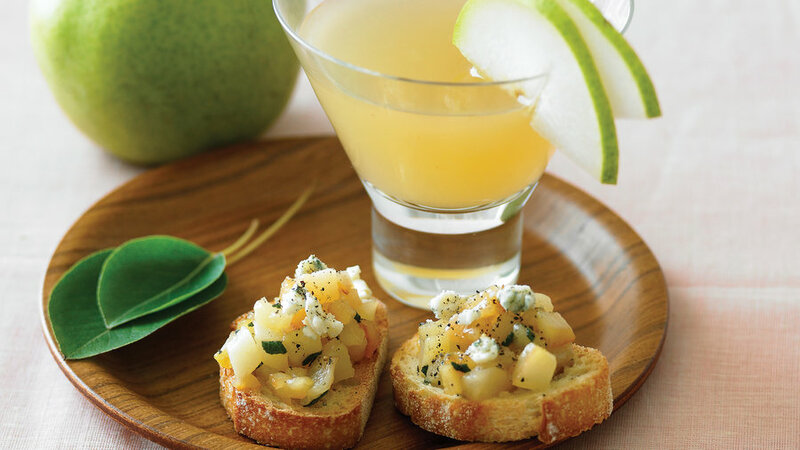 Sweet pears and sharp blue cheese create an exciting yet homey appetizer. 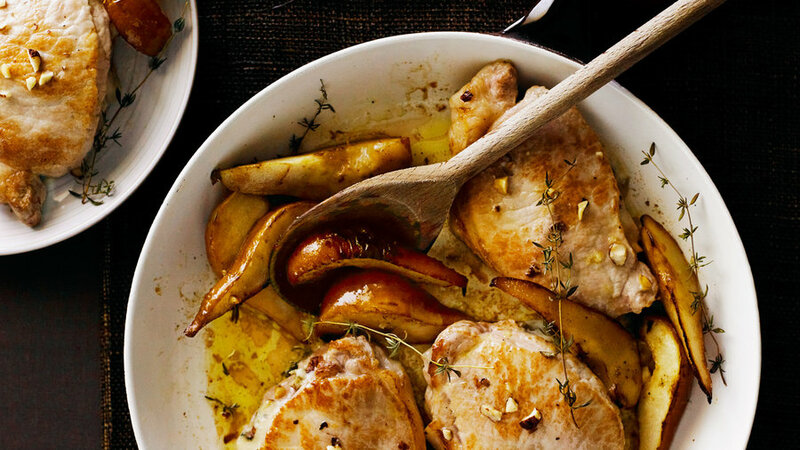 Serve them with sparkling wine, or a slightly sweet white wine. 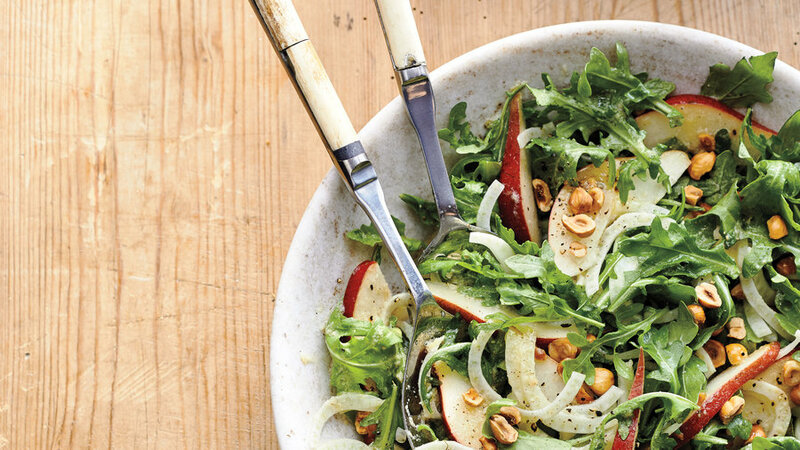 This pretty mix of fall favorites, sweet Asian pears, crisp fennel, and crunchy walnuts, is a perfect salad for special occasions. 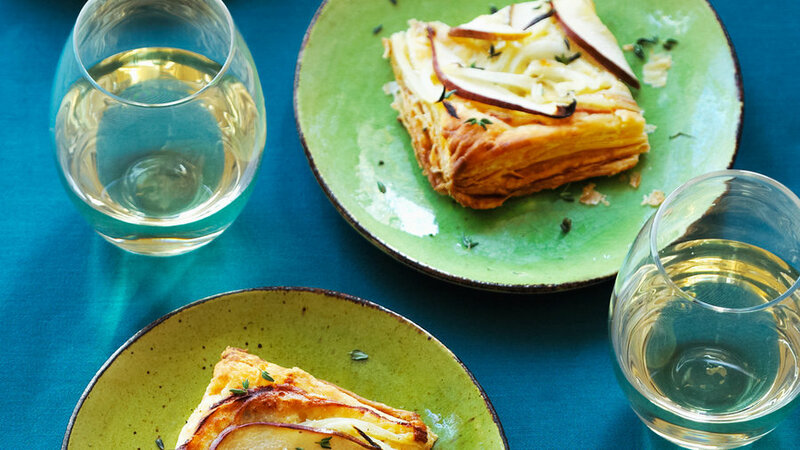 Fresh pears and purchased puff pastry add up to an incredibly easy seasonal dessert. 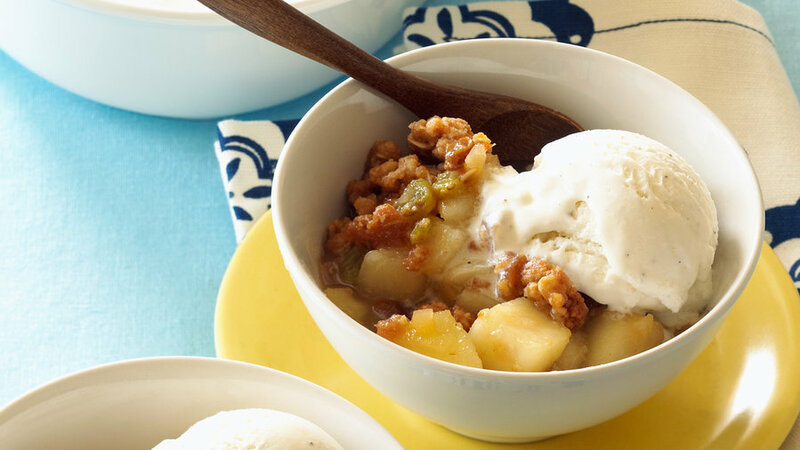 Juicy pears take the place of apples in this twist on the apple cranberry crisp. 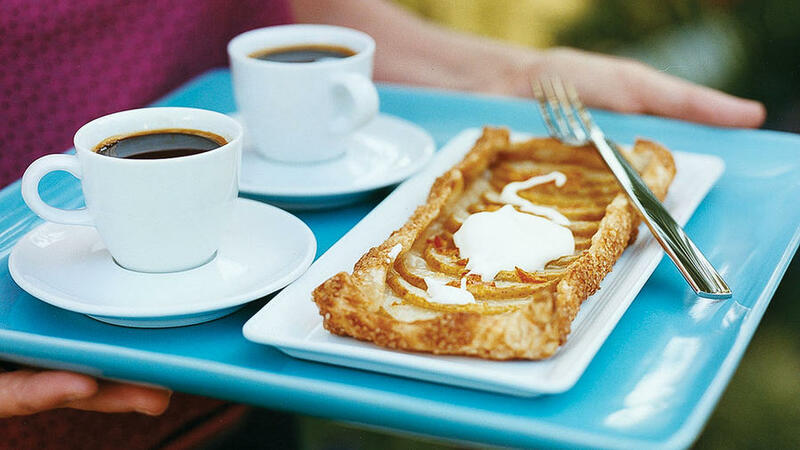 Bake them in individual dishes for an especially pretty presentation. 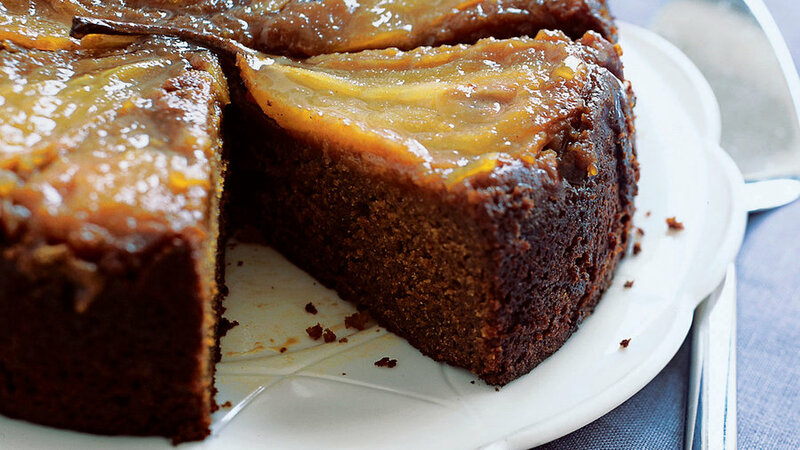 Brown sugar glazed pears top moist ginger cake in this fall-inspired twist on the classic pineapple upside-down cake. 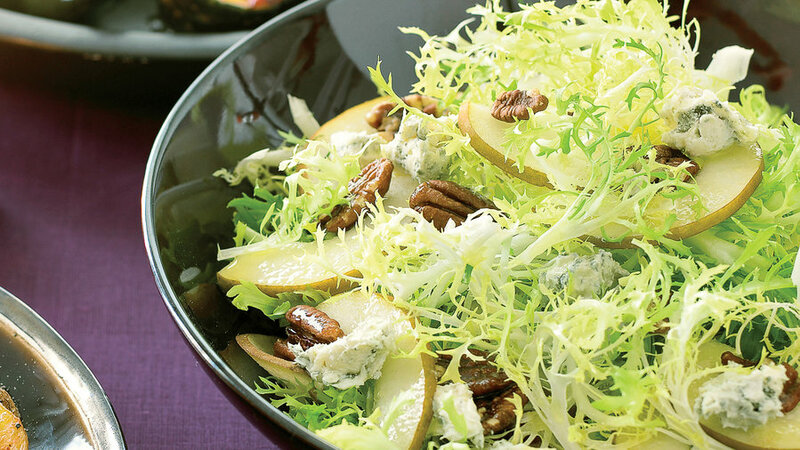 This salad is all about bold contrasts: crisp pears and pecans with tender frisée, and maple syrup with sharp blue cheese. A spicy, molasses-rich gingerbread is the base of a wonderfully festive dessert. 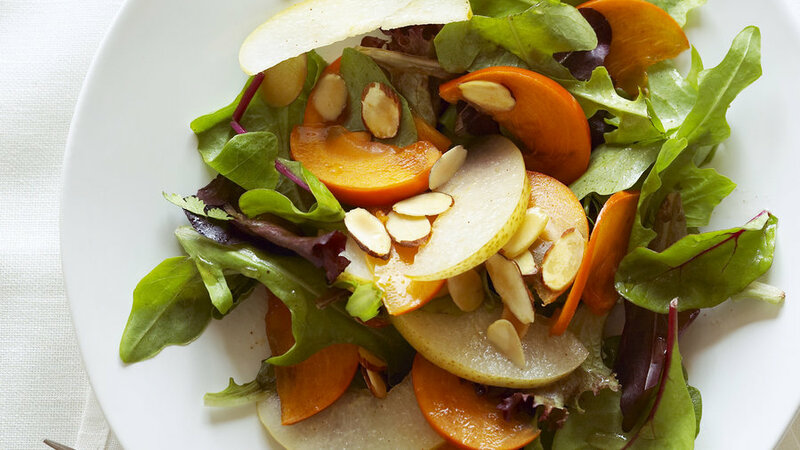 These golden-brown pears make a stunning finale, and they can be made well ahead of time. Chocolate sorbet adds a deep, rich flavor note. 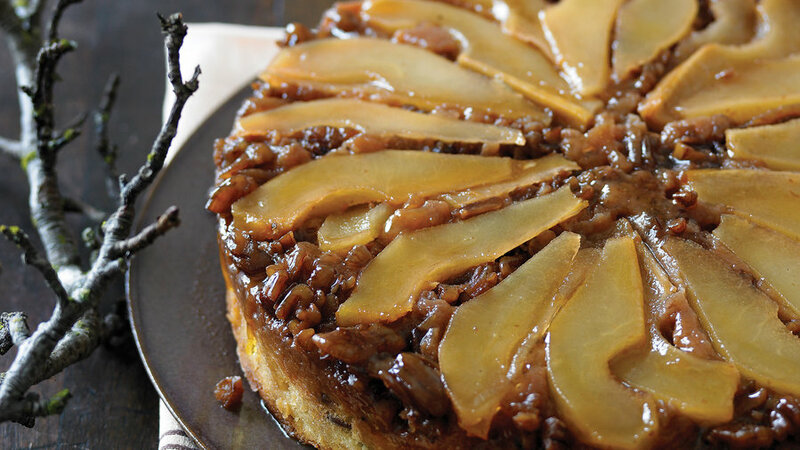 This old-fashioned, moist cake, jazzed up with vanilla bean and roasted pears, takes on even more flavor if you start the pears a day ahead so they can steep in their syrup. Here's a recipe to add to your go-to list: easy enough to pull off for a Tuesday night dinner but special enough to serve to guests. Sometimes combining three simple ingredients is all that is needed to create something spectacular, and this recipe is the perfect example. 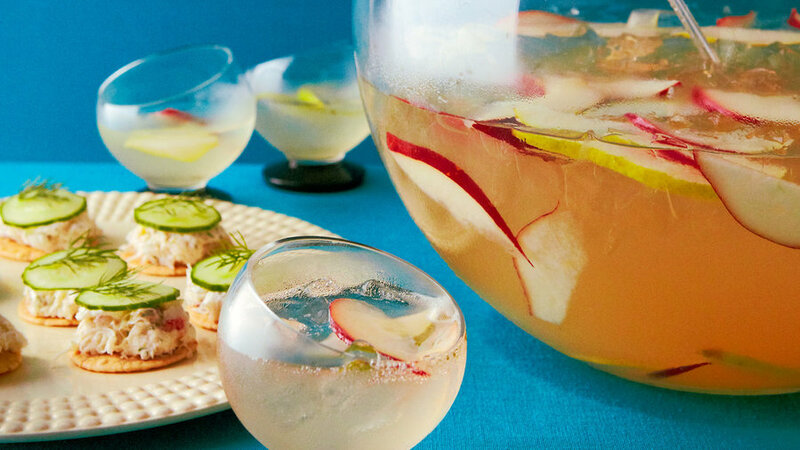 This fizzy and fruity cocktail uses pears in three ways. 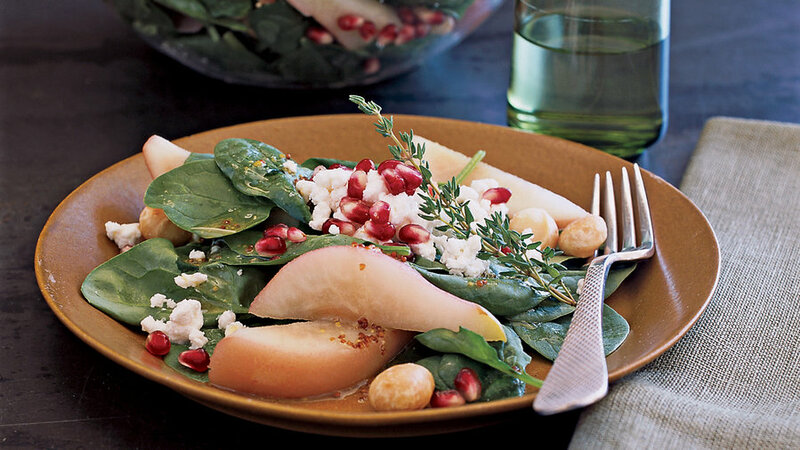 This fall salad is bursting with color and flavor from sweet poached pears, crunchy macadamia nuts, creamy goat cheese, and jewel-colored pomegranate seeds--very impressive. 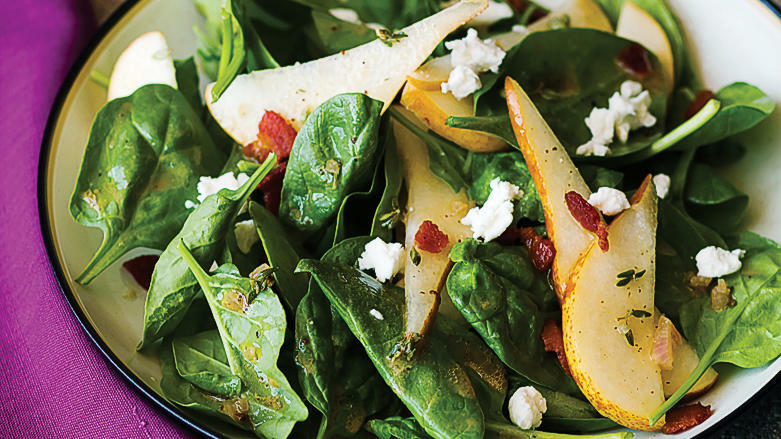 Crisp pancetta and juicy pears make this salad special enough to be holiday-worthy. 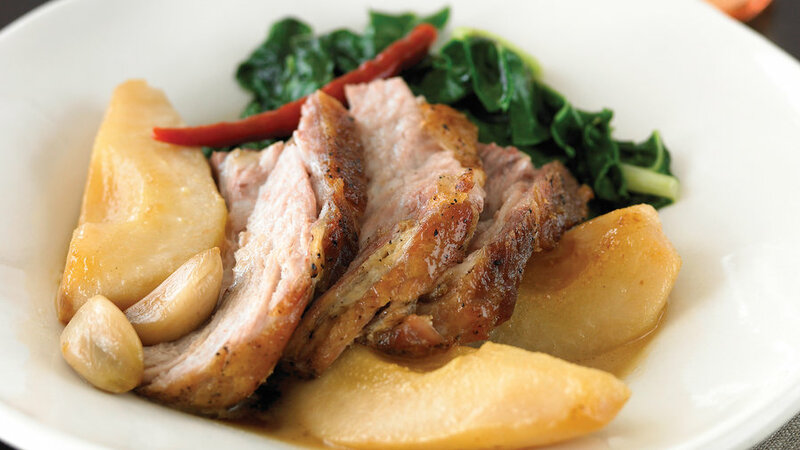 The gentle heat of the dried chiles is highlighted by the sweet pears, which become soft and a bit savory while cooking in the pork juices. 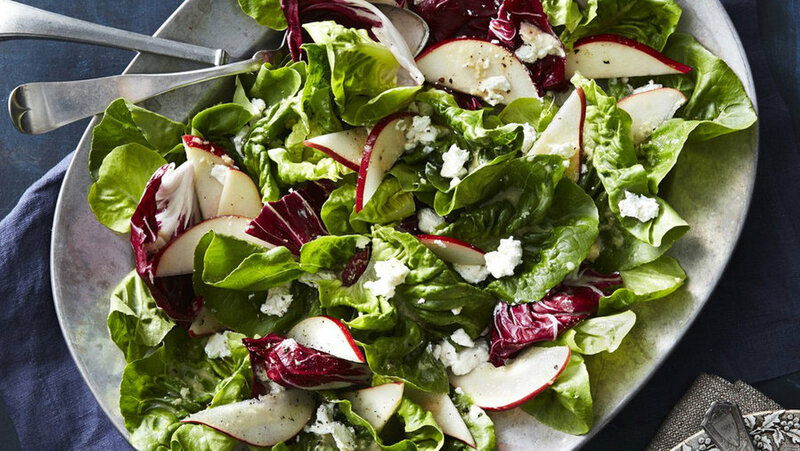 With a side of greens, this is one of our favorite fall dinners. 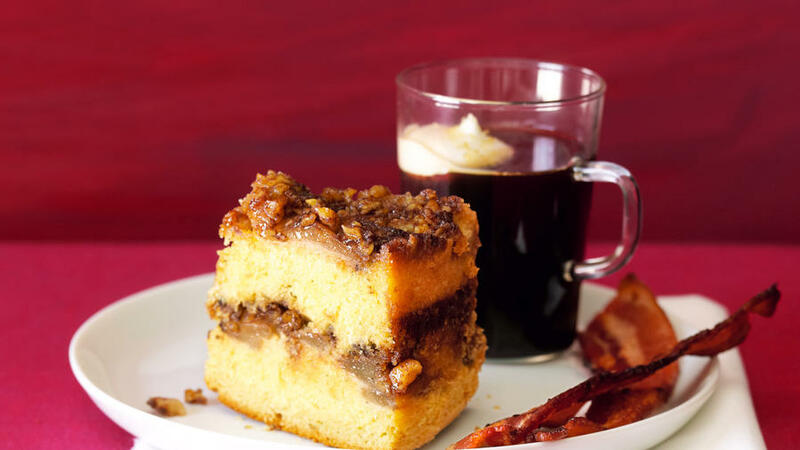 A rich flavor and soft crumb made this cake a favorite in our test kitchen. 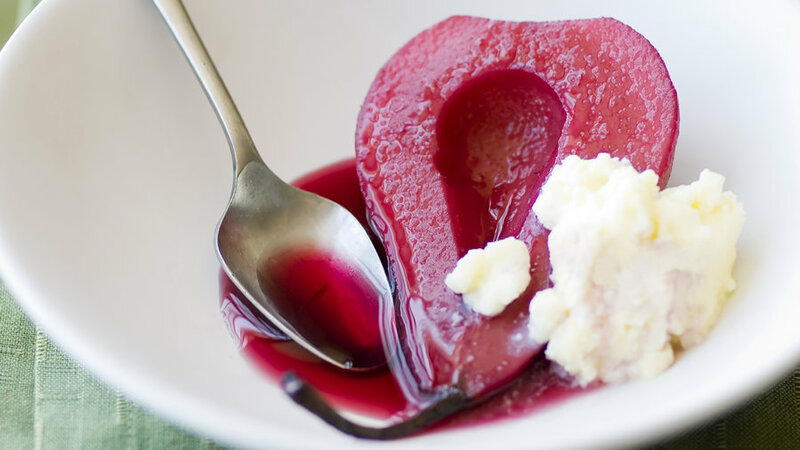 Light and refreshing, this sorbet is a delightful way to end a heavy meal. 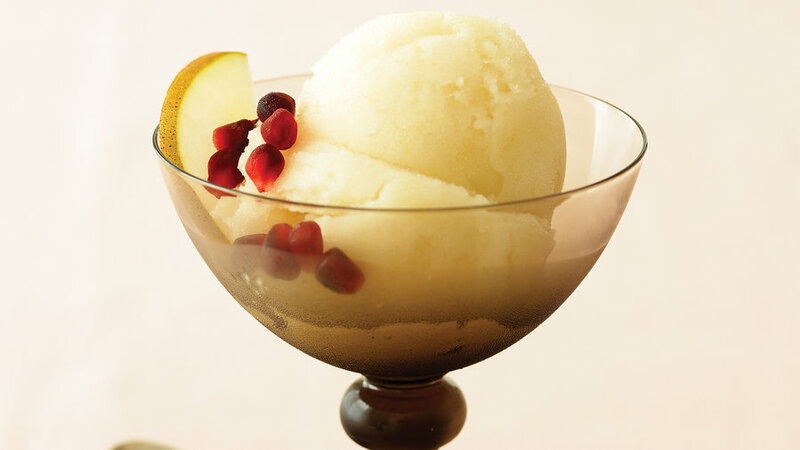 If you want to serve sparkling wine with the sorbet, choose one that's sweeter than the one in the sorbet. 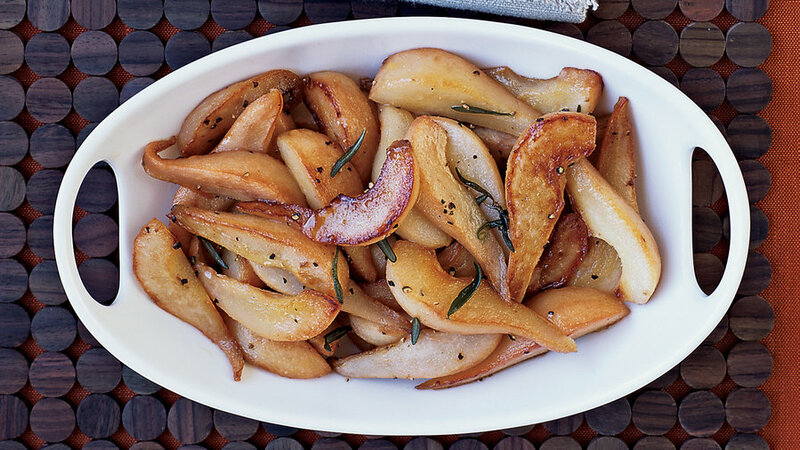 These pears aren't too sweet, and have subtle notes of black pepper and rosemary. 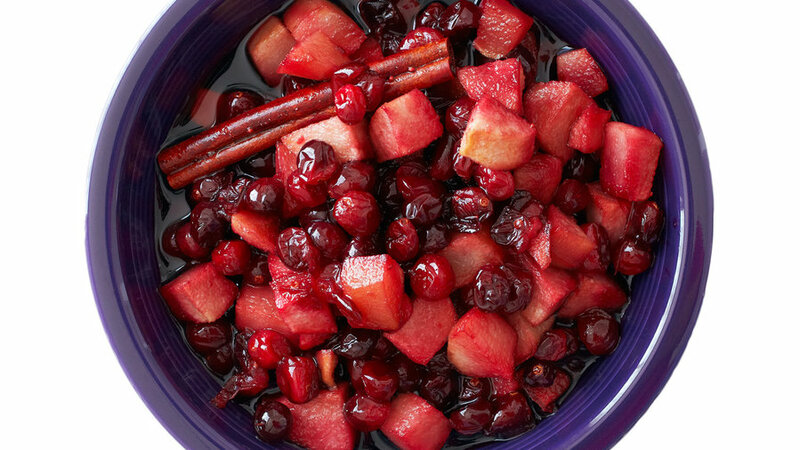 This fresh holiday side is a nice alternative to cranberry sauce, packing in added seasonal flavor. 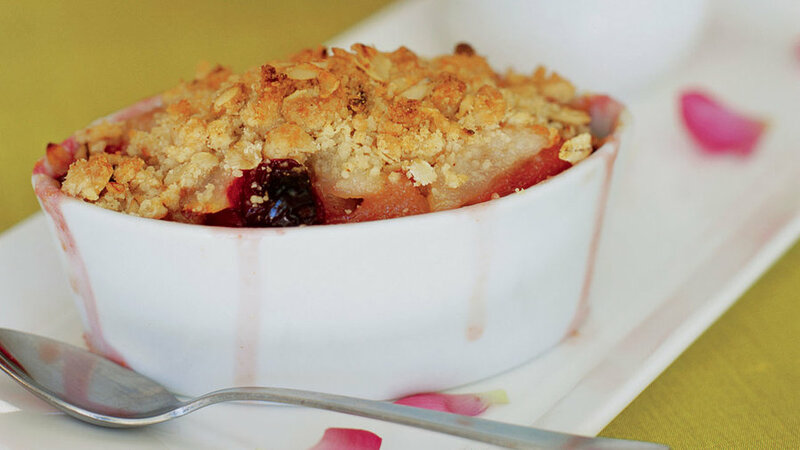 In this sensational seasonal dessert, prebaking the topping adds crispness. A mix of chartreuse and bronze lettuces--if you can find them--really sets off the fruits' fall colors. 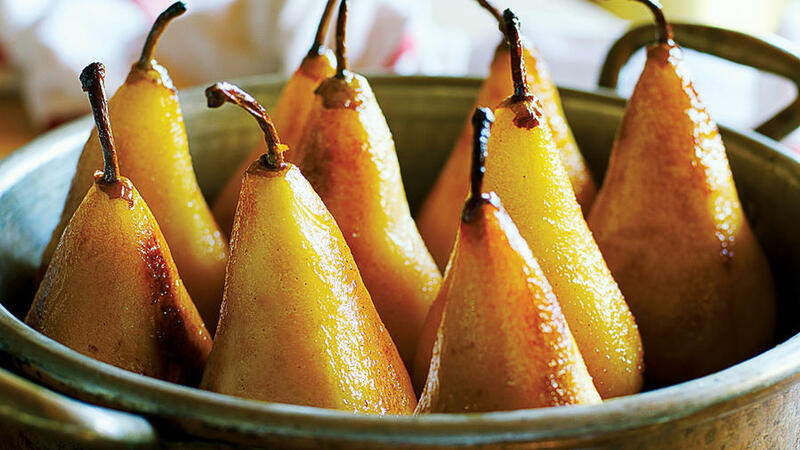 These pears are so beautiful, it's hard to believe how easy they are to make. 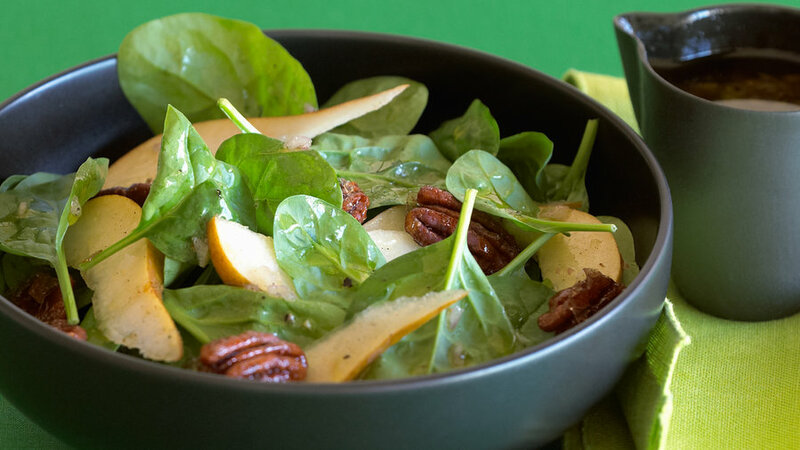 You can also try the recipe with white wine or apple juice instead of the red wine, but the pears won't have the same pastel color.